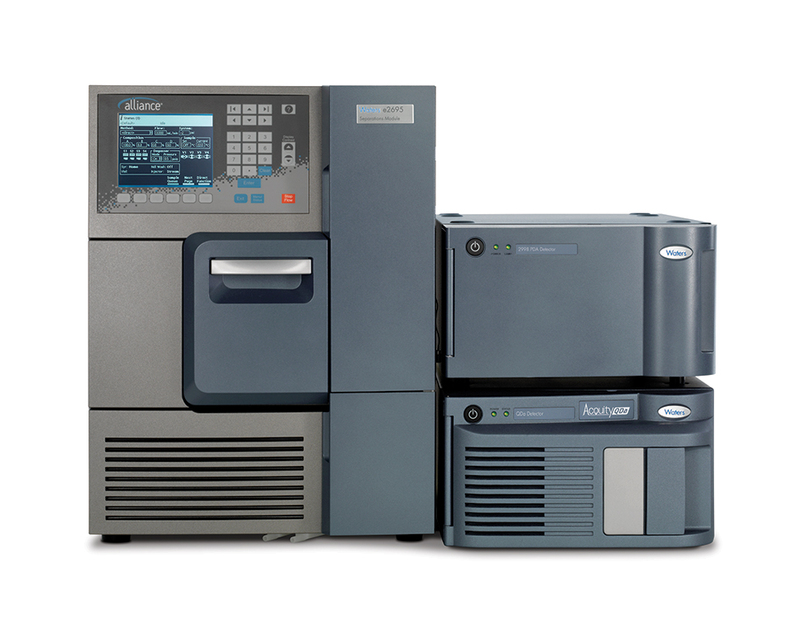 The Alliance® HPLC System is the flexible and reliable workhorse that meets your fundamental HPLC separation requirements. The system has been continually expanded and perfected to accommodate an enormous range of real-world analytical challenges, culminating in today’s new industrial design which signifies Waters’ commitment to HPLC and our HPLC line. Today, users can extend the Alliance HPLC System’s performance with XP 2.5 µm columns. XPcolumns are compatible with both HPLC and UPLC technology and are designed to not only improve our HPLC productivity, but also facilitate a transfer to UPLC Technology platforms as well. Directly scalable between UPLC and HPLC particle sizes, these new 2.5 um XPcolumns bridge the gap between HPLC and UPLC performance. An integrated HPLC system that works as hard as you do. The Alliance HPLC System meets the rigorous requirements of timely and predictable routine analyses in addition to the performance standards of new-product research and development. Alliance systems and columns are manufactured to a rigid set of performance specifications, allowing you to confidently transfer a method between instruments and still get consistent results, unit-to-unit and lab-to-lab. The heart of the Alliance HPLC System is the e2695 Separations Module and its integrated solvent and sample management functions, which ensure consistent system-to-system performance and high reproducibility. Up to 120 industry-standard vials can be accommodated in the e2695’s five sample carousels. Sample queues are quick to set up—whether it’s just one sample or a sequence of multiple methods from different analysts.